Sköna Guimaras island ligger bara 10 minuters båtfärd från storstaden Iloilo city i Filippinerna. Foto: Anders Thorsell. Guimaras Island in the Philippines is famous for its mangos. It is said to grow the sweetest mangos in the world. 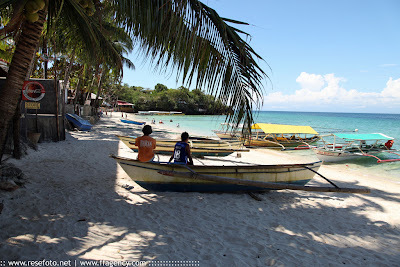 Guimaras Island is just ten minutes by boat from the mainland city of IloIlo City. It has a population of approximately 250 000.